Does someone have this problem? I've had that issue. Just gotta keep clicking on it eventually it will spit out a new ID. i have the same problem. how did you resolve the problem? TVChina registration is down for maintenance today and will be back up tomorrow. Yeah howd you get it to work? I don't see an exit button that mail123321 is talking about. Mine isn't letting me register anymore because it generated them already. I can't get it to reset. My remote isn't working well and I couldn't enter make a password correctly and pressed back to delete the letter but instead it exited the TVchina app instead of going back. Everytime this happened it generated a new user ID. Now I can't make one because it's just not letting me. Mine seems to be freezing when I try to register. Happened to my mother's TVpad set up - was doing a similar loop generating new user IDs. I purchased the subscription and followed up by asking the seller to arrange a user ID and passcode which was emailed to me to input in the app. So, I can't read chinese so I have no idea on how to register an account. I assume the first button is register. So, I entered my email address on the first box and password on the 2nd but I get a red error message on top of the screen. Can anyone help me out? @phat_cow You can skip those 2 boxes. One is for email and the lower one is for phone number - I believe these are used to retrieve your user ID and password but I would just make a note of the ID. If you scroll down you can skip the email and phone by clicking the box on the right if I recall correctly. Also try translate the text by using the google translate app with phone camera image (align the chinese text on the phone camera). I use it to translate menus when travelling abroad. Tried registering as of today at 7pm July 16 2017 and it gives me an error message. I tried restoring my tvpad4 and reinstalling tvchina app both 5.05 and 5.07 and same thing happens. It gives me error message. So I finally got it working. I did the same as you. I registered using the middle option which generates an ID which you should write down and asks you for amake a password and to reenter the password. At that point it should be registered. The red text is not an error. I don't know what it says though. Go back to the first left option to login. Enter the generated ID and password you just made. Another red text that probably isn't an error should pop up. 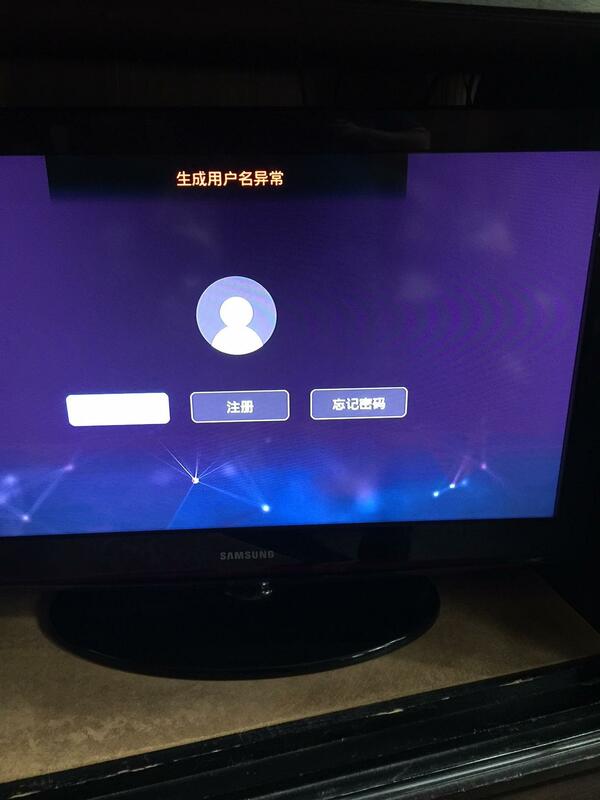 A new screen appears asking for your email and phone number. Mine was bugged since it appeared half assed in the apps home screen. But you can tell this by the keyboard option with the @ and .com options on the top left of the keyboard. After you enter your email and phone number, click the button on the left. You should be good for now. You can check if you're logged in by the app's home screen which has a number 7 and chinese words on the bottom right and the ID number next to the account picture.